City Wide General Cleaning & Maintenance Service, Inc.
Iclean 24/7 Cleaning Services, Inc. Comment: purchased linen dining chairs about 2 1/2 to 3 years ago. they are dark ivory in color. they are very dirty and stained. Can't afford to to purchase a new set fight now. Need them cleaned for the spring. Comment: Family room carpet. Aprox 20x20 feet Plus sofa and love seat. 2 recliner chairs. Comment: I would like a bedroom carpet cleaned. I believe it is a synthetic fiber, beige. The room is 23 x 13.6. I donât want the furniture moved, as I think it is too much to move. So we would clean the exposed areas only. I would like this done before January 29th. It needs a good cleaning. I am on the third floor of a five floor apartment building. Action Cleaning & Maintenance, Corp.
Westbury Carpet Cleaning Services are rated 4.72 out of 5 based on 1,304 reviews of 28 pros. 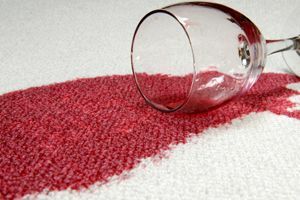 Not Looking for Carpet & Upholstery Cleaning Contractors in Westbury, NY?